Andrews McMeel Publishing, 9781449489427, 208pp. “A feminist celebration of the magic of womanhood. 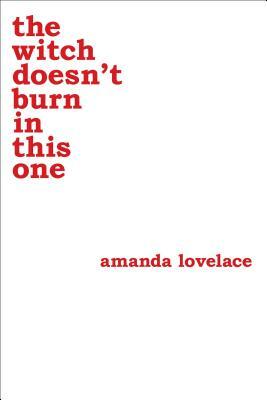 "To everyone in range of this tweet: go and buy THE WITCH DOESN’T BURN IN THIS ONE by the immensely gifted Amanda Lovelace (@ladybookmad). I don’t care if you don’t usually read poetry. You will after you read this. You’re welcome. #TeamWitch"